The Beauty of Life: What Do You Think of the Zoya Intimate and Essie French Affair Spring 2011 Nail Polish Collections? 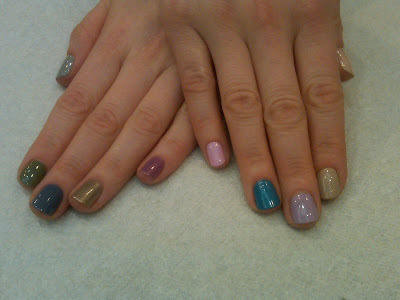 What Do You Think of the Zoya Intimate and Essie French Affair Spring 2011 Nail Polish Collections? What do you think of the collections? See any polishes you have to have? Let me know in the comments! Thanks for the swatches! The collections are so gorgeous- really liking the blues in both collections! I love pink.Pink shades are very nice. I am searching for good nail paints. now I got it here. Wow number of collection. Every one loves beauty.We can get here what we want o make us very beautiful.